Sew la Tea: Giddy up! 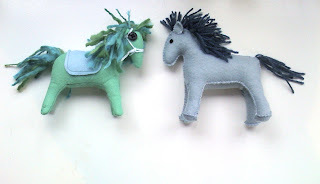 Last weekend Felicity and I crafted up some cute horses! So they can stand up like this! You can cut out the ears and feet now if you want. Next get your wool and prepare to make the mane and tail! ...tie a knot to hold them all together. I made 5 of these to use as the mane, and a longer version for the tail. It depends on the thickness of your wool. Next sew around your horse, leaving the back and neck undone. And Felicity did a blanket stitch! Sew in the tail at this point! 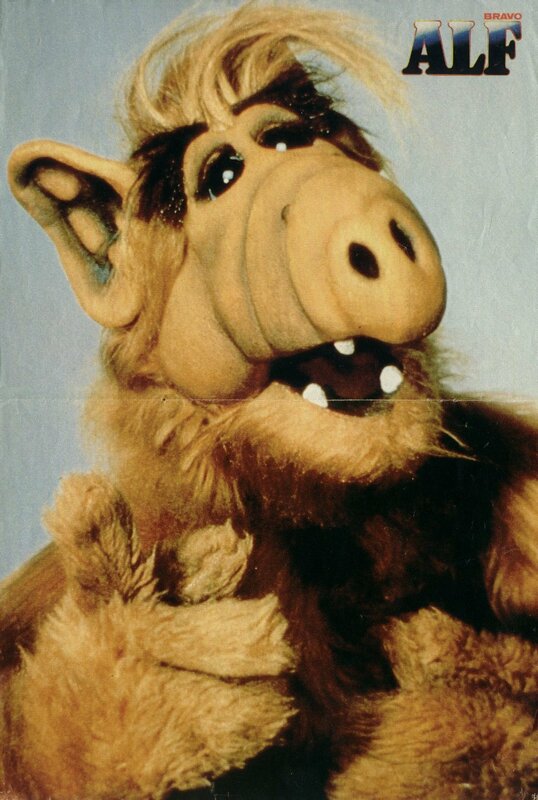 Yes, sad to say my horse is looking somewht like Alf at this point. That's machine sewing for you. And begin sewing it up. Make sure you sew right through each knot in the wool several times to get it really secure. Work from the bottom of the neck up towards the head, this way you can continue stuffing all the way up. Your horse should be looking pretty crazy-rad now. Give its mane a trim. I wanted to make a blanket and reins for mine. and sewed it onto the horse in 3 places. Then I was all finished too!